“It is quite legitimate for governments and corporations to execute transactions with cash across borders but such must be backed with a documentary evidence and approved in advance by both countries before consummation. The evidence provided by the South African government looks incontrovertible and has exposed the argument of the Nigerian government“. 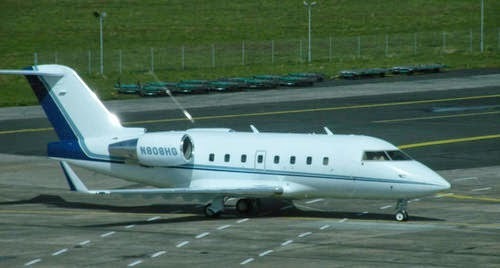 On 5th of September, 2014, the South African Revenue Service seized $9.3M in cash, aboard an Eagle Air owned Bombadier Challenger 600 with registration number 808H, at Lanseria Airport, north-west of Johannesburg. While the South African Police conducts investigation into matter, the funds have been handed over to the South African Central Bank, with two Nigerian officials and an Israeli initially held for questioning. The Nigerian government through an unsigned statement, sought to convince the world that the $9.3M was for a legitimate arms deal, that it took the decision to embark on the transaction when the US blocked every means for Nigeria to purchase arms legitimately, from companies/countries that deal in arms. While there is no evidence to back this line of argument, it is very important to lay out the facts. Senator Patrick Leahy of Vermont, of the United States Congress introduced a bill that sought to prohibit the United States Department of Sate and the Pentagon from providing military assistance to foreign military units that engage in human rights violations in the cause of their military expedition. It went on to state that the assistance will be restored if the host government takes necessary steps to bring those responsible to justice. Military and security units of countries that are currently on the US blacklist are Gautemala, Mexico, Turkey, Indonesia, Pakistan, Bolivia, Colombia and Nigeria. However, nothing in the Leahy amendment bill suggests that the US will sanction any of the above countries from transacting in arms and ammunitions, or block the legitimate transaction of arms deal among nations. As a matter of fact, the US is providing limited foreign military assistance to some other Nigerian military units. A case in point is the 143 Infantry Battalion that has routed the Boko Haram terrorist three times in one month in counter offensive operations at Konduga, in Borno state. That effectively eliminates the official line of the Nigerian government that the US has sanctioned Nigeria from buying arms legitimately which forced it to fly $9.3M cash aboard a private jet to South Africa, for the purpose of arms deal. Looking at the facts, it is clear that the $9.3M which is allegedly meant for arms purchase has the imprint of money laundering all over it. First, the National Prosecuting Authority of South Africa submitted evidence before the court that TIER ONE, the company which the Nigerian government claims to have contracted for the arms deal, is not a registered arms dealer with the South African National Arms Control Committee and is not authorized to enter into any agreements regarding the sale or rental of military equipment. So why did the Nigerian government contract a company not recognized by law in South Africa as arms dealer? Secondly, the South African investigators found out discrepancies in documents and invoices associated with the transaction, as regards to the time the invoice was prepared and the time money was flown in. The $9.3M was brought in to South Africa less than a week from the date the invoice was prepared. They also alluded to the fact that the invoice was issued to a Cyprus based company, whose nation is widely known in the international financial cycles for its opaque banking system and allure for corrupt political and business leaders across the world. The National Prosecuting Authority of South Africa then concluded that the transaction did not follow due process in the procurement of military equipment for which the said amount was meant for. Thirdly, why didn’t Nigeria inform the South African government about the deal through the official diplomatic channel? Why did they fail to declare the money at the Customs point of entry? Why present documents to the South African authorities days after they plane was intercepted? It is quite legitimate for governments and corporations to execute transactions with cash across borders but such must be backed with a documentary evidence and approved in advance by both countries before consummation. The evidence provided by the South African government looks incontrovertible and has exposed the argument of the Nigerian government. One can understand the frustration of the office of the national security adviser having engaged a US lobby firm to the tune of $3M to help Nigeria acquire some left over military equipment from the US but was not successful, but this case in South Africa is really bad , though the act is now being defended in the name of national security. Let us hope that the Nigerian Senate investigation will conclude the incident is not a classic case of money laundering hidden under the guise of buying arms and ammunitions for our equipment-deprived troops in the north east.